Happy Mother's Day! !😁 it's been a wonderful week and I got to skype my lovely family which was SO great! As usual. It still hasn't hit me that I am done with my last call home. Time really flies. We had some sweet miracles this week, one of them was we met with the Flores family again who are a part-member family we are helping to return back to activity in the Spanish ward. 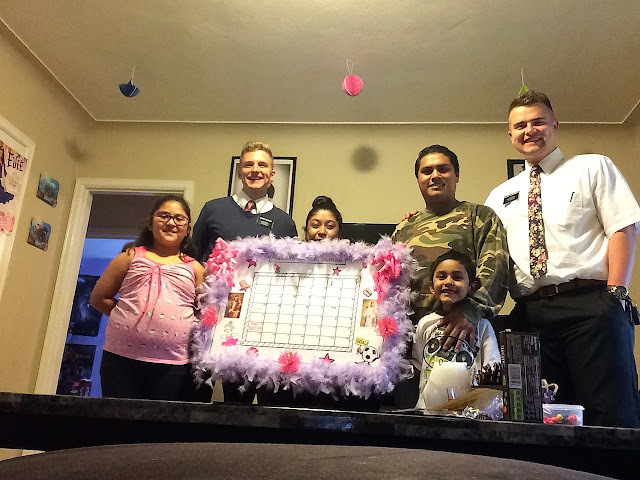 We set a date for baptism for their 10-year-old daughter Ashley, and she was super excited the last time we invited her, so we decided to go all out and make a huge baptismal calendar to help her prepare! It's was pretty dang epic. They also came to church on Sunday so we are really pumped for them. We had a combined ward Mother's Day "asado" (grill-out) with some rico Hispanic meats. This week we did a huge zone service project for Red Cross. 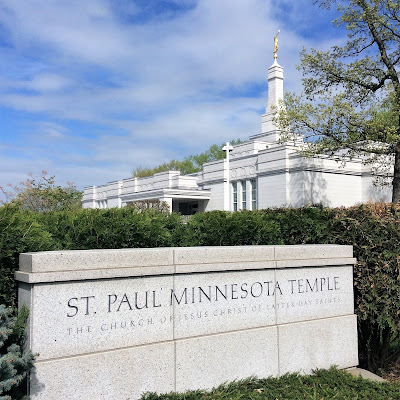 Also went through the temple on Saturday with a member in Lakeville whom Elder Calderwood taught, going through for the first time. Oh! And I almost forgot, but we found out that elder Calderwood is being transferred for his last 6 weeks here. And I will be staying here in St Paul with a new companion Elder Cross! I read a scripture this week that was really powerful. "For behold, I, God, have suffered these things for all, that they might not suffer if they would repent; ...Nevertheless, glory be to the Father, and I partook and finished my preparations unto the children of men." Jesus Christ truly took upon himself all of our sins, pains, and sorrows. 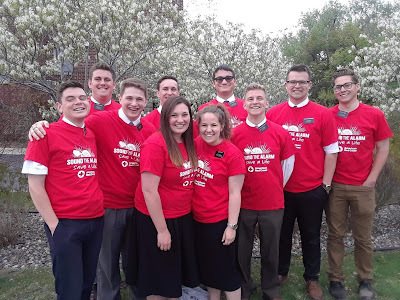 There is so much depth to the atonement knowing that he is literally prepared to walk alongside us in our mortal journey, because he has already walked the footsteps we will take. Have a fantastic week! Thanks for all of your prayers. Love you guys!